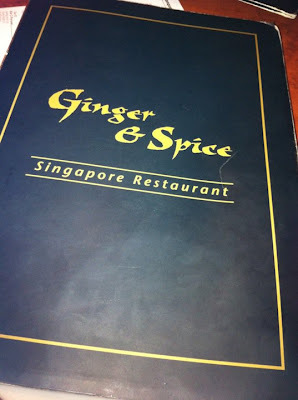 It was really hard to decide which restaurant I was going to review after a fabulous night at Quay… but the show must go on and I chose Ginger and Spice Singapore restaurant. Reviewers described this restaurant as ‘a place to experience genuine street food as you might find in Singapore’ – No tone down, no westernised taste. Upon arrival to the restaurant, we were greeted by the ‘usual’ Chinese-style waiting and I also caught a glimpse of an article about Tetsuya’s visit to the restaurant. We were a bit early and had to wait until our allocated time. 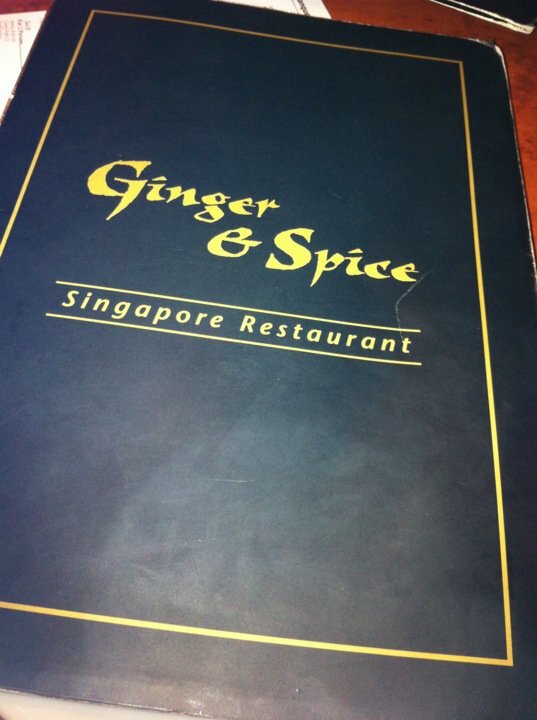 However, as one of Sydney’s finest Singaporean restaurant, we were less impressed by the seemingly ‘standard’ table arrangements and menu. As with any other Chinese restaurants, we ordered 5 dishes to be shared by the whole table. 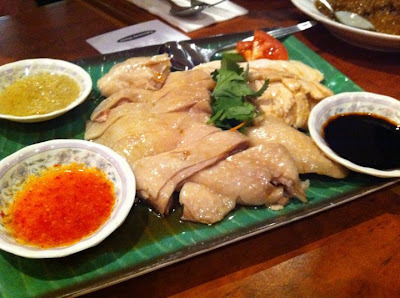 Unsurprisingly, their trademark, Hainan Chicken was brought out first. It was the only dish that they served in a nice leaf-like plate with three different sauces. It was the only-well presented dish of the night and the taste was also great. 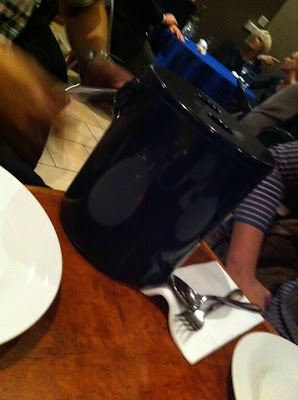 We had to wait for quite a bit for the next one, Beef Rendang, to come out. 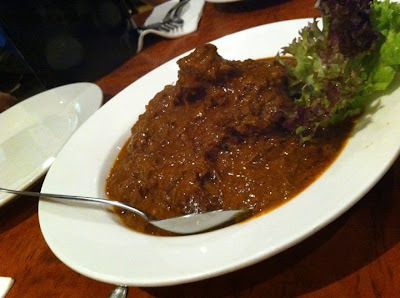 A classical Malaysian/Indonesian Beef with Rendang flavour. The meat was very tender and the sauce was also nice. 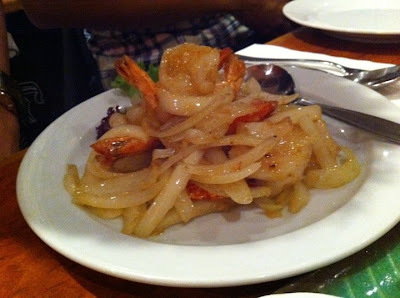 The third dish was Garlic Prawns, although to be honest, it was more like ‘a bunch of onions with some prawns on top’. It was our least favourite dish of the day because of the fact that it was too simple. We could just get it from any other Chinese restaurants for a much cheaper price, and not everyone got a prawn. Next one came the only veggies of the day, Long Bean Balacan. 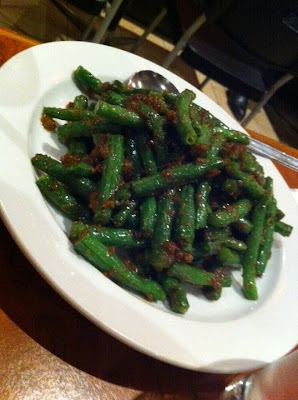 Another classical Asian dish, long beans stir-fried with real shrimp paste and some other yummy ingredients. This is one of the few vegetable dishes that I could actually enjoy. Best one for the day, and came lucky last, was the Sweet Soy Calamari. Presentation wise, it was worrying, and we did not expect anything judging by the looks. However, on a first bite, it quickly became the dish of the day. 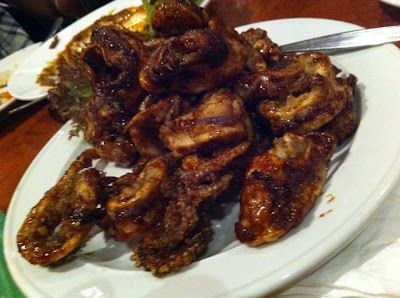 The calamari was cooked to perfection, crunchy all the way. Since sweet soy sauce was also my favourite, the experience became extraordinary. 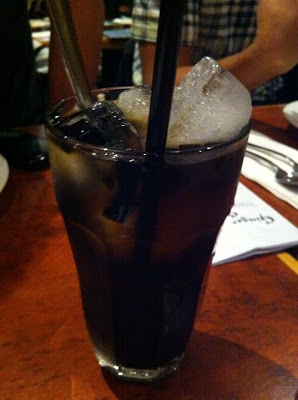 For drinks, I ordered a Grass Jelly drink. This typical Southeast Asian reminded me how refreshingly different they were. The final verdict: There is no doubt that in terms of quality, the food was excellent. Special credit goes for the Sweet Soy Calamari. However, lack of efforts put on interior design and staffs’ below-par customer service has made the experience a less satisfying one. Neutral Bay is known as the mid-upper class place where over-priced restaurants are everywhere, unless you get the quality one. Generally speaking, I always hesitate to go to Indonesian-like restaurant because of the exorbitant price when compared to real street food in Indonesia. It’s surprising to learn that as a famous restaurant, they don’t have their own website.